It’s that time of year again, kids. That time when a significant number of the writers in your life hibernate with their computers for hours on end, alternately spamming social media with words counts or angsting about how this is impossible and they will never get it done. For more information about National Novel Writing Month (NaNoWriMo), go here. In summary: Writers challenge themselves to write 50,000 words in 30 days during the month of November. If you’d like to join me so we can cheer each other on, I go by “hannaedits”–send me a friend request! 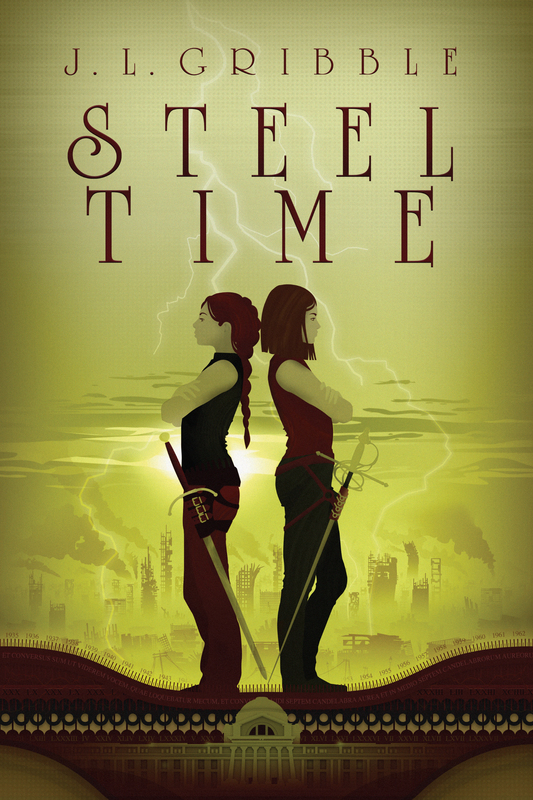 I “won” NaNoWriMo in 2014 by cranking out the last 2/3 of my second novel, STEEL MAGIC. I’m attempting it again this year with book 3 of the Steel Empires series, STEEL BLOOD. Below are some questions snagged from the blog of my fantastic critique partner, Breeanna Pierce. You should check out her NaNoWriMo post too, so you can be as excited about her time travel book as I am! 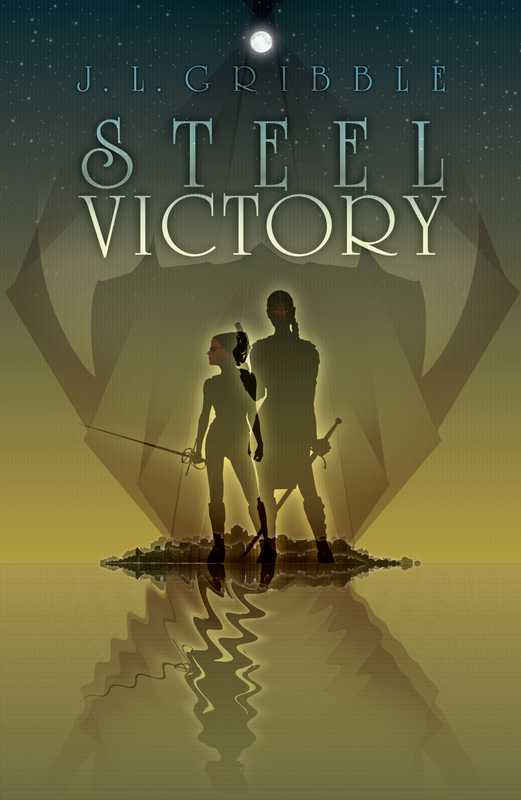 I knew that this book would be from Victory’s point of view, and I knew that it would take place concurrently with book 2, STEEL MAGIC. I also knew that I wanted Victory to travel outside of Limani, but to a place where she would have no chance of running into my other characters. I’m completely in love with the city Rio de Janeiro, so I figured that was a good place to start. I also knew that since book 2 delved more into the elves, vampires, and magic systems of my world, book 3 would focus on the different varieties of werecreatures that exist, along with more about Victory’s past. What followed was long internal discussion over the course of about a year and a half to figure out the main plot points, and I cranked out a scene-by-scene outline in July 2015. To explore more of the fantasy world that I’ve created, and spent some more time with the two main characters (Victory and Mikelos) who were mostly absent from book 2 in the series. Also, a third novel will be a milestone in my writing career. Though the Steel Empire series will be longer, trilogies are such a cornerstone of the fantasy genre that I am excited to reach that mark. Steel Empires Book 3: STEEL BLOOD boils down to this elevator pitch: Romeo and Juliet with werewolves and weredragons, with bonus feminism. The longer version: Victory is asked by an old friend to resume her mercenary career in the Qin colony of Jiang Yi Yue to protect his granddaughter. But is she protecting the princess from a roguishly handsome British earl or from a rival Qin political faction trying to replace the heir to the governor’s seat? Which character(s) do you think will be your favorite to write? Tell us about them! Victory and Mikelos are both really fun to write, but I’m excited to bring Zhinu to life (I’m 20k words in but haven’t met her in person yet). Zhinu is a Qin noblewoman with very strict limits on her life and her future, because the blood of dragons flows through her veins. But that doesn’t stop her from wanting more. Even though she is not a POV character, it will be neat to twist the Romeo & Juliet trope. Victory is just here to do a job and help an old friend. But her priorities and mindset have changed in the past hundred years while she’s been the vampire Master of the City of Limani. Soon, she will have to choose between adhering to her mercenary contract or adhering to her sense of independence and morality. In my alternate history world’s version of Rio de Janeiro, a Qin colony called Jiang Yi Yue. I’ve visited Rio twice and always knew I wanted to set a novel there. Victory’s stalwart companion is her daywalker Mikelos. Part of my subversion of the fantasy genre through this series is the idea of a vampire character having a long-term adult relationship rather than going through the evolution of a brand-new romance. A mercenary lives by their word, and though Victory got to the point where she could pick her own contracts, that contract was still law. But that was a century ago, and Victory is no longer just a simple mercenary. She will have to choose between what is right and what is good, and acknowledge that it’s not too late to change, even when you’re over 800 years old. What themes are in your book? How do you want readers to feel when the story is over? What is right versus what is good. The realities of true love. Compromises in relationships. Wow, this is starting to sound like a romance novel! It is not. Hopefully readers will get another great action-adventure story like they enjoyed in STEEL VICTORY and STEEL MAGIC with a healthy dose of enjoyable nonstereotypical characters. Don’t panic if you don’t finish. In most genres, 50k words does not a book make. I started working on this project earlier this year and will already be 20k words in, and I’m still planning on having to keep writing a few days in December to finish the entire thing. Do keep working on the project after November. What is the point of all the blood, sweat, and tears if an unfinished novel languishes on your computer until next November? For more NaNoWriMo books detailed using this list, see Beautiful Books. Happy writing! This entry was posted in Uncategorized and tagged books, NaNoWriMo, Steel Blood, Steel Empires, writing. Bookmark the permalink. SF Signal hosts my blog post about vampires in popular fiction!